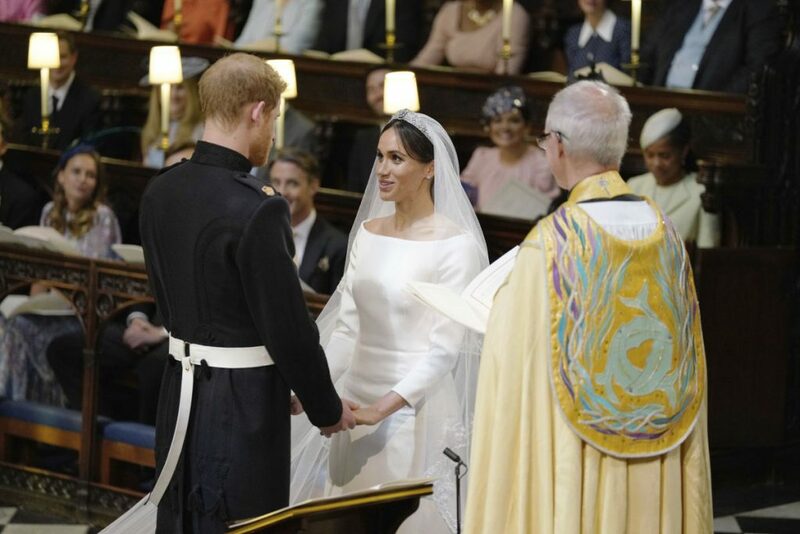 Britain's Prince Harry and Meghan Markle hold hands during their wedding ceremony. Meghan Markle arrives for her wedding at St. George's Chapel in Windsor Castle in Windsor, near London, England, on Saturday. 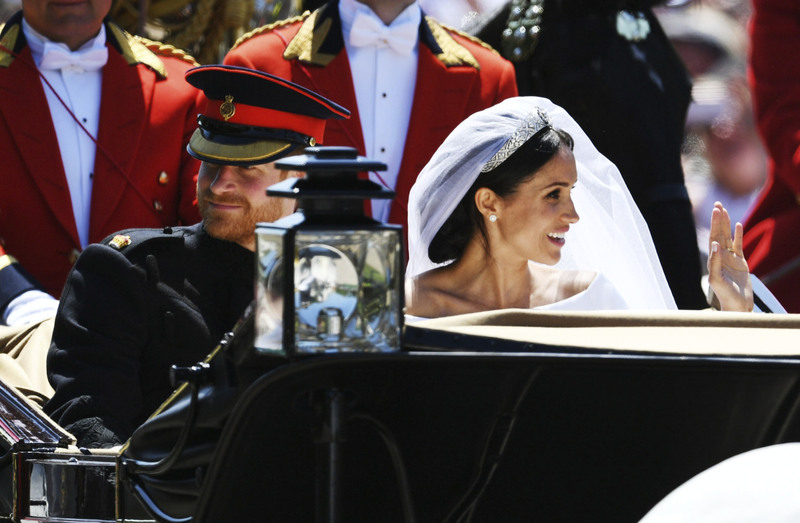 Meghan Markle reacts as she rides in a carriage with her husband Britain's Prince Harry after their wedding ceremony at St. George's Chapel in Windsor Castle. 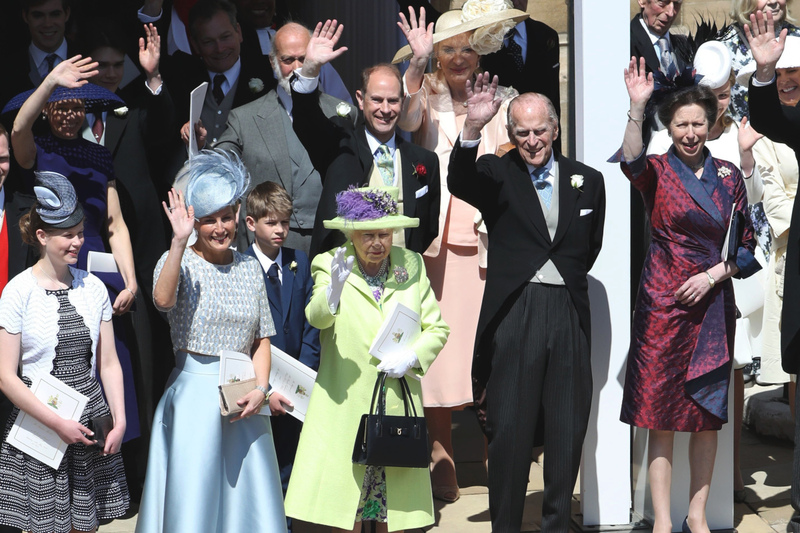 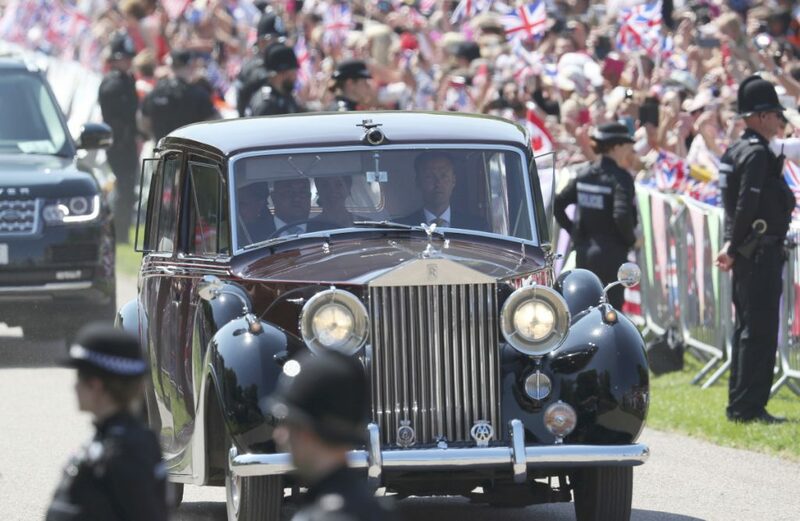 Britain's Queen Elizabeth II, Prince Philip and other members of the royal family wave after the wedding ceremony. 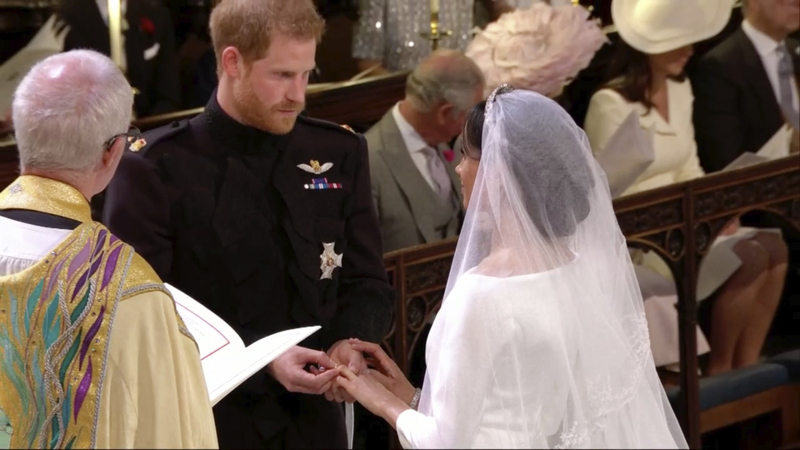 Britain's Prince Harry places a ring on Meghan Markle's finger. 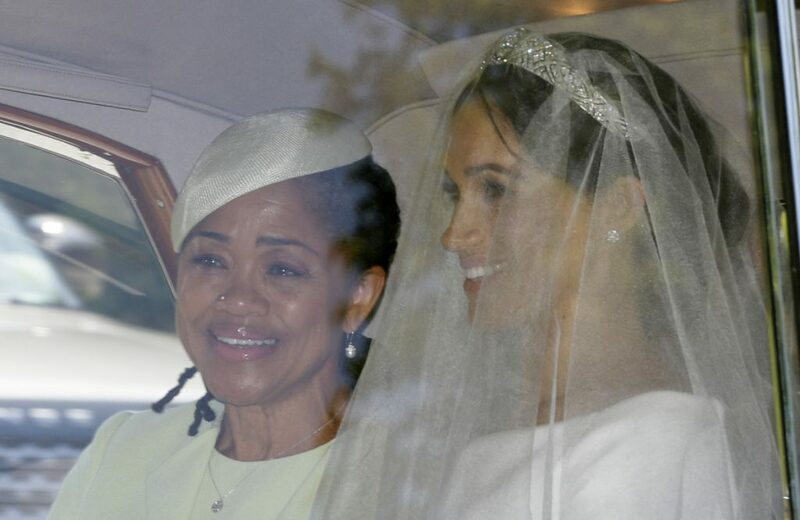 Meghan Markle with her mother, Doria Ragland, arrive for the wedding ceremony. 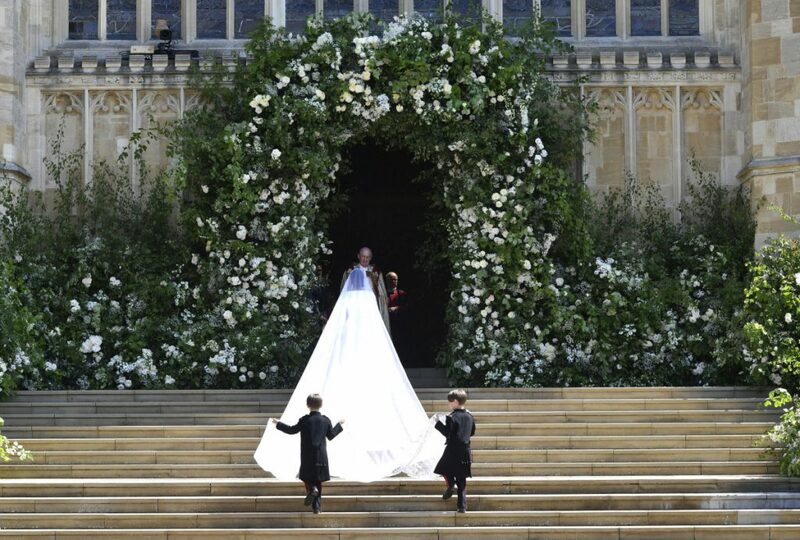 Meghan Markle arrives for the wedding. 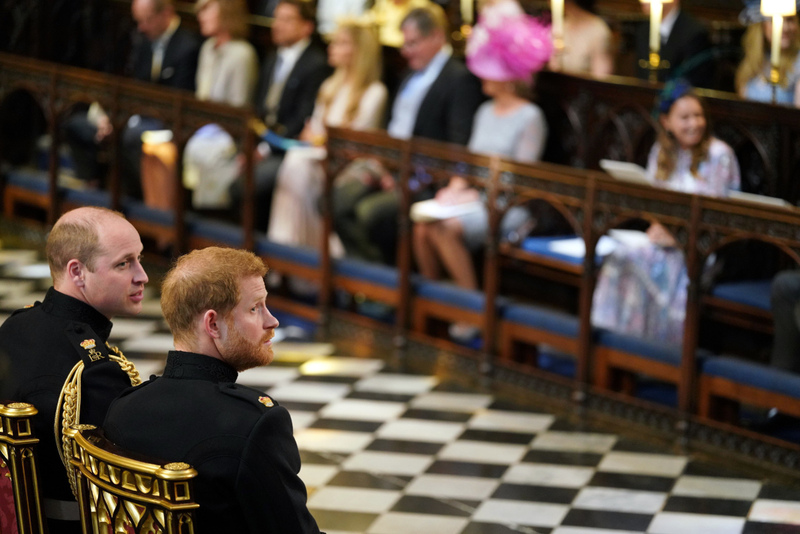 Britain's Prince Harry sits with his best man and brother, Prince William, the Duke of Cambridge, during the beginning of the wedding ceremony. 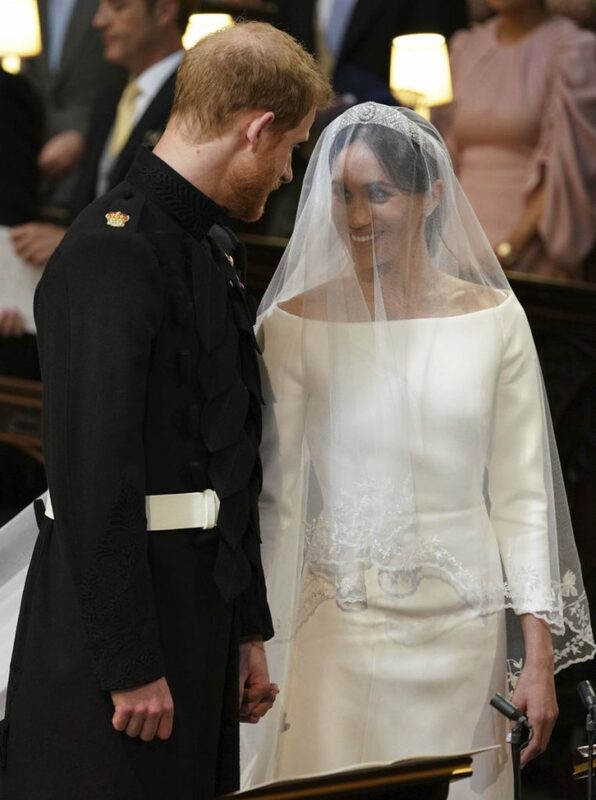 Britain's Prince Harry and Meghan Markle stand during their wedding ceremony at St. George's Chapel. 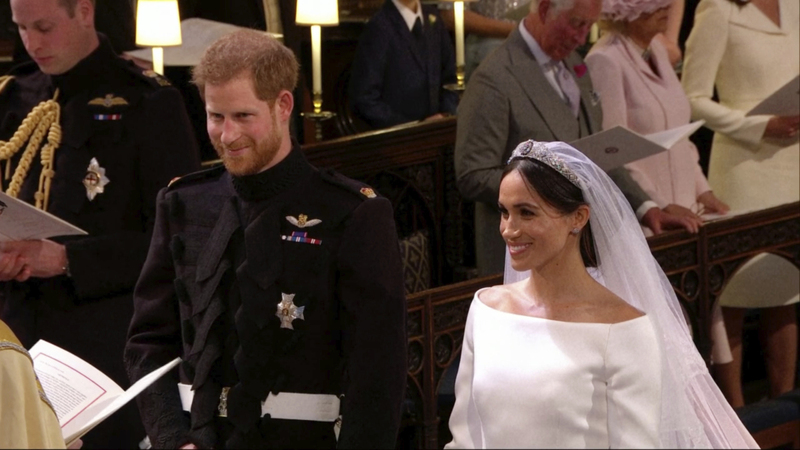 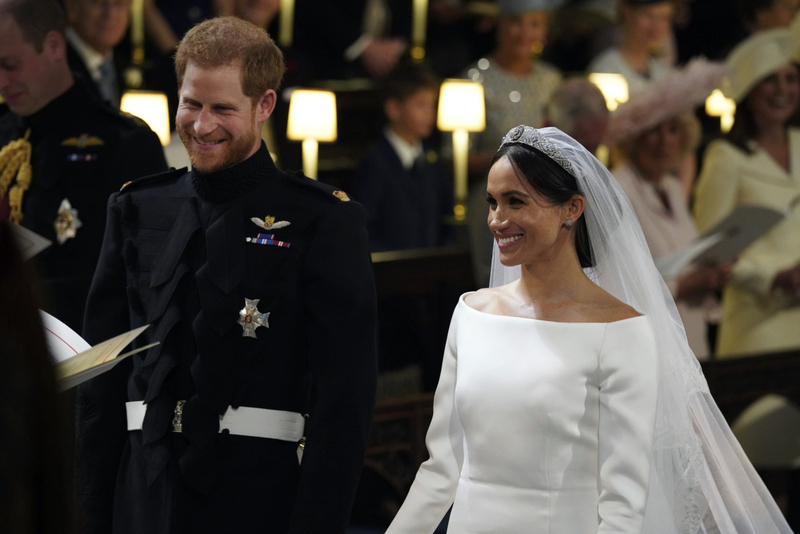 Britain's Prince Harry and Meghan Markle smile during their wedding ceremony in St. George's Chapel in Windsor Castle. 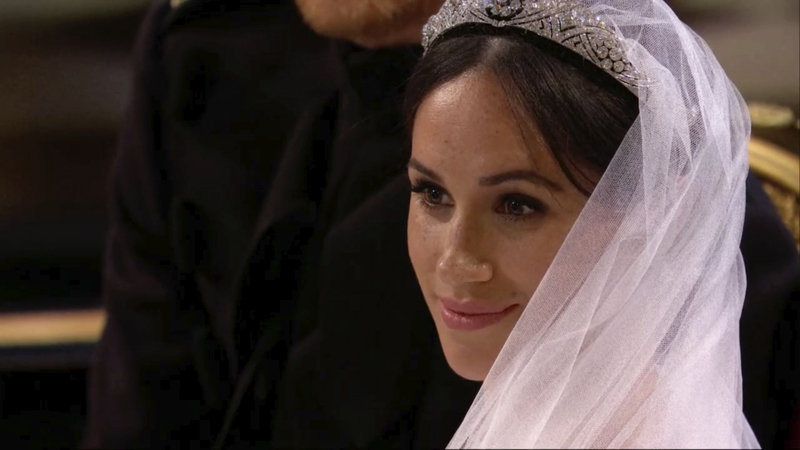 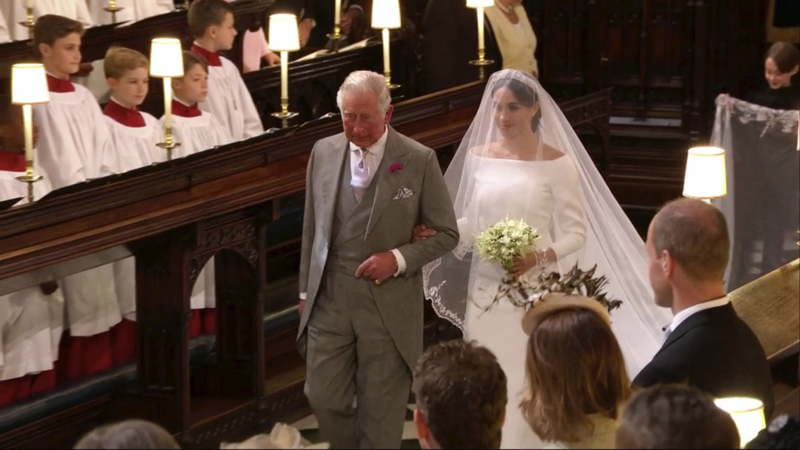 Meghan Markle listens during her wedding ceremony.  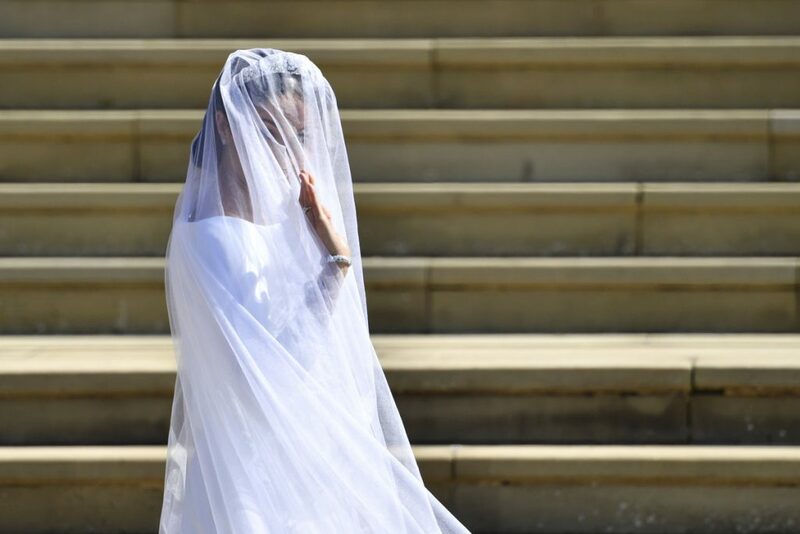 Meghan Markle and her mother, Doria Ragland, leave Cliveden House Hotel in Taplow, near London where she stayed before Markle's wedding ceremony with Prince Harry at St. George's Chapel in Windsor Castle. 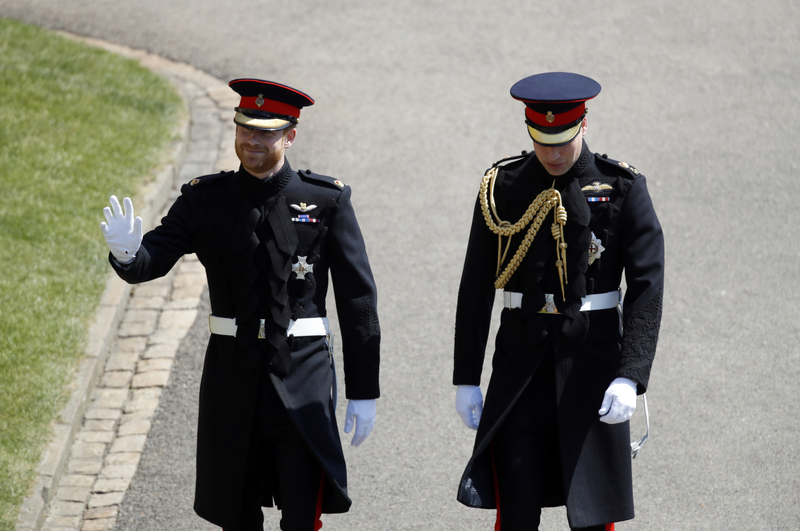 Prince Harry, left, and his best man, Prince William, arrive for Prince Harry's wedding ceremony. 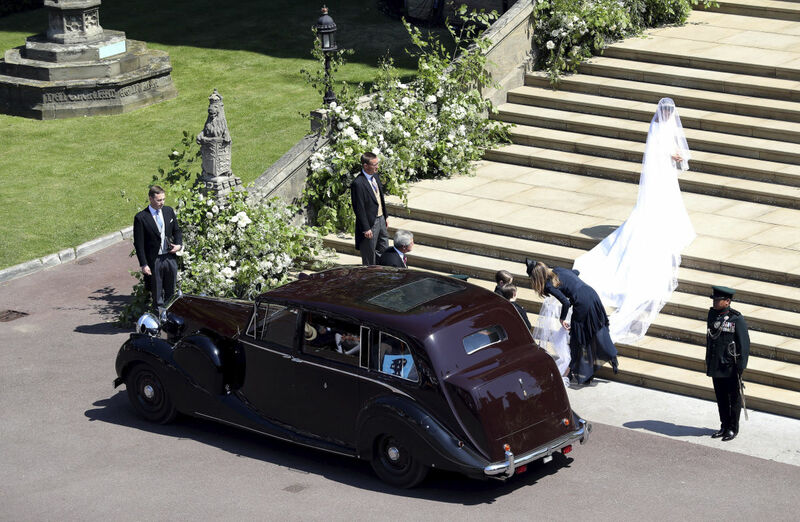 Sabrina Dhowre and Idris Elba arrive for the wedding ceremony of Prince Harry and Meghan Markle at St. George's Chapel. 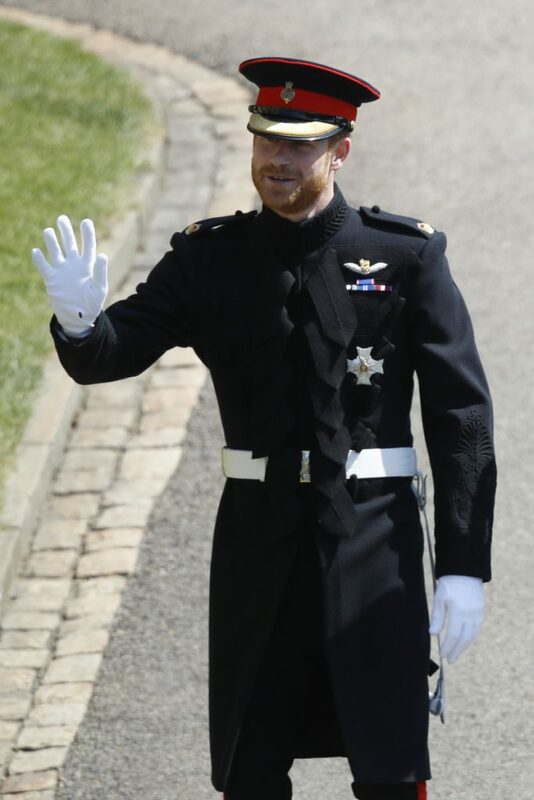 Britain's Prince Harry arrives for the wedding ceremony at St. George's Chapel in Windsor Castle in Windsor, near London, England, on Saturday. 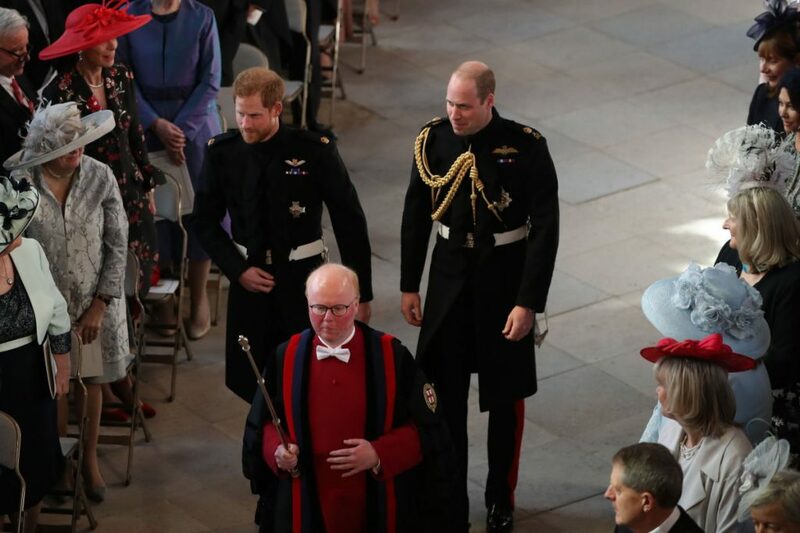 Britain's Prince Harry, left, and best man, Prince William, arrive for the wedding ceremony at St. George's Chapel in Windsor Castle. 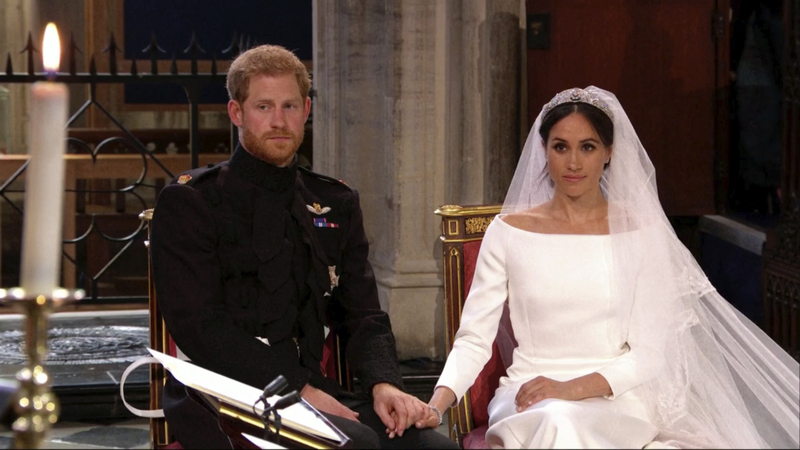 Britain's Prince Harry and Meghan Markle listen at their wedding ceremony at St. George's Chapel in Windsor Castle in Windsor. 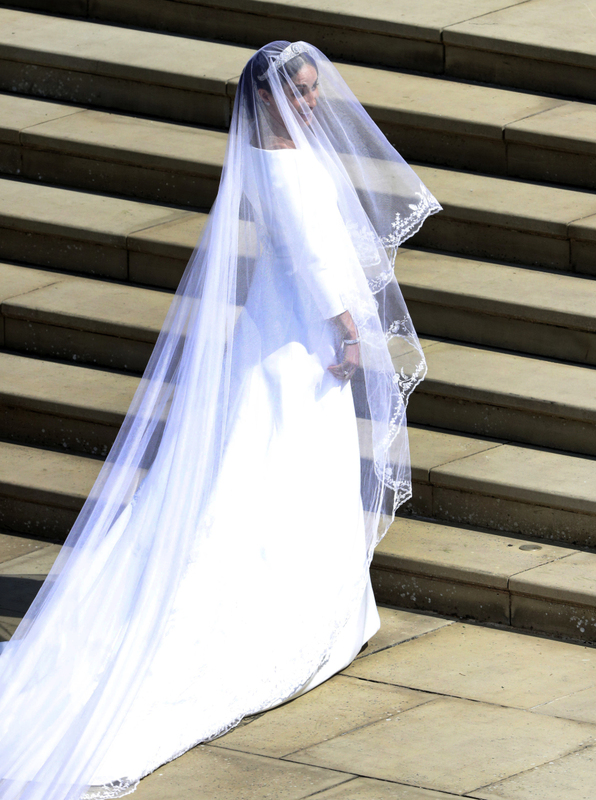 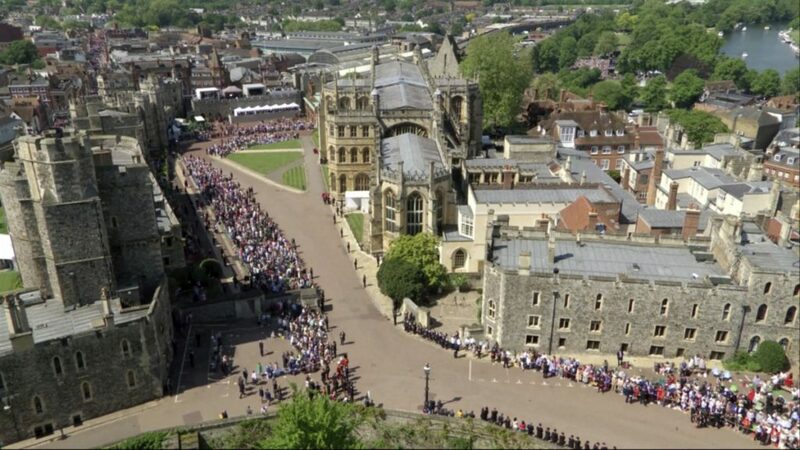 Meghan Markle arrives for her wedding ceremony at St. George's Chapel in Windsor Castle in Windsor, near London, England.